224 pages | 23 B/W Illus. 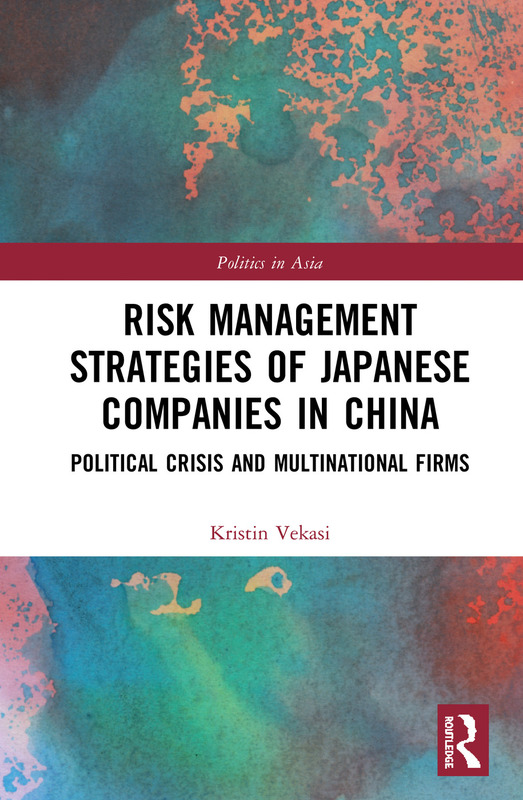 In the context of political tensions and rising economic interdependence between Japan and China, this books studies how Japanese multinational companies try to minimize damages and manage their own fear and uncertainty to sustain their business interests. Using a qualitative approach, including over 150 interviews with Japanese and Chinese business and industry leaders, combined with statistical analysis of unique firm-level data, this book brings a ‘firm-level view’ to this crucial case of political conflict amid economic interdependence. It argues that there is wide variation in the degree of material damages Japanese multinationals sustain in the aftermath of political disputes, and how threatening they perceive the risks of political conflict to be. This book then goes on to evaluate the different responses to risk, from promoting Japan's culture through privately funded tactics and building common cause with the government, to diversifying a portion of assets abroad and even leaving China entirely. Presenting a new angle on economic globalization in the Asia Pacific region, Risk Management Strategies of Japanese Companies in China will be useful to students and scholars of Asian politics, business and economics as well as international political economy. Kristin Vekasi is an Assistant Professor in the Department of Political Science and School of Policy and International Affairs at the University of Maine, USA. She holds a PhD in political science from the University of Wisconsin, Madison.